Our white neroli and lemon candles are made with soy wax and scented with pure aromatherapy essential oils. No parafin wax or synthetic fragrances ensure that the candles burn beautifully with no wasted wax left on the glass and fill your room with a happy and uplifting aroma. Absolutely thrilled with my purchase! The smell is simply heavenly can’t recommend enough! Absolutely love this candle. Everyone who visits my flat compares it to a lovely spa retreat. This is why I have purchased 5 candles so far. I first discovered Valentte at Crufts 2018 and have only used their products since. These candles are amazing, the fragrance seems to last for ages without being overpowering, unlike your usual room fragranced candles. I would recommend these to anyone. A lovely scented candle, valentte never disappoints, best candles ever! I love these candles; the neroli and lemon smells exquisite and fragrance your room in no time! The candle burns down evenly and last a long time! You will not be disappointed with this purchase! Absolutely gorgeous candles. White neroli and lemon is the loveliest fragrance and makes my living room smell amazing. My absolute favourite, I will be back for more! Lovely candle burns evenly beautiful aroma excellent value for money. I absolutely love this candle! It’s such a refreshing smell and even when it’s blown out the scent lingers! Very happy with my purchase and shall definitely get it again! ? This candle burns evenly and for a long long time. The citrus scent is refreshing and pretty. I absolutely love this fragrance! So calming and yet uplifting too. An absolute must have! Absolutely gorgeous smelling candle. I bought several to give as presents and everyone whose received one loves it. Gorgeous candle and fantastic price for the size! I bought the large one, which i’ve been lighting every evening and it doesn’t seem to be doing down at all – the glow it gives is lovely, and the scent is really calming, and smells totally natural. I have mine placed in a fireplace grating and it’sb the perfect size for this. Love the fact that it’s soy too – it’s quite hard to find soy cadles of this size. Highly recommend. Gorgeous smelling candle burns evenly and lasts a long time, excellent value when bought as part of the gift set. I bought two gift sets for gifts and the recipients loved them. Will definitely be buying more. Gorgeous sent, can even smell it when not lit, tempted to get the larger one. Thanks valentte! Gorgeous sent, my favourite and I’ve tried most of them now, uplifting and long lasting fragrance. Thinking of treating myself to the larger version. All the products are great, this candle is especially gorgeous and would highly recommend and would buy again. Love love love this candle. Smells divine. Burns evenly so no wastage. Labelling could be made more premium given the quality of the product. One of the best candles in the world! This scent is just divine, the neroli makes you feel cuddled while the lemon gives you a zesty energetic twist, leaving a fresh, springlike aroma in the whole house! I love it! I recommend these candles because they’re nature, burn evenly without wast and smell amazing! Plus you can feel the love that has gone into it when you burn them! Love, love, love this company and their candles and hand creams. 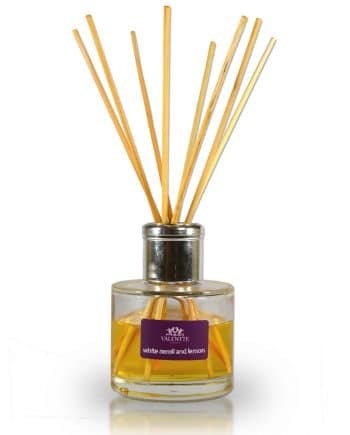 Best reed diffuser as well. The smell is delightful and they last. Best value for money in my book! One of the best candles I’ve ever used. The smell is divine. Will definitely be buying more. I have one of these candles in my bedroom that I haven’t lit yet, but the high concentration of essential oils means that the room is still beautifully fragranced. When lit, the candles burn evenly and cleanly. Hi. My sister and I bought your ACE neroli candles and equally fantastic handcream set at the Ripley Homes and Gardens show. We really enjoyed the shopping experience afforded us by Adam who was a delightful character and very knowledgeable about your products. What a great ambassador for the brand! I have never had such a fantastic house fragrance and urge everyone to purchase your candles! But leave some for me!! I was told that by submitting a review I would receive a coupon for a free candle… fab!! Love the fresh scent of this candle….so many of my friends have walked in the room and asked what is that lovely smell. I should be on a commision. I first bought valentte gift sets 4 years ago . And still buying them . So do I need to say any more? I love white neroli & lemon candels . So much I got the 3 wick one this time. Also I love to keep Geranium and Ylang Ylang room mist next to my bed . I could go on & on . All the products are very good quality. The 3 wick candles are brilliant. The fragrance really fills the room. 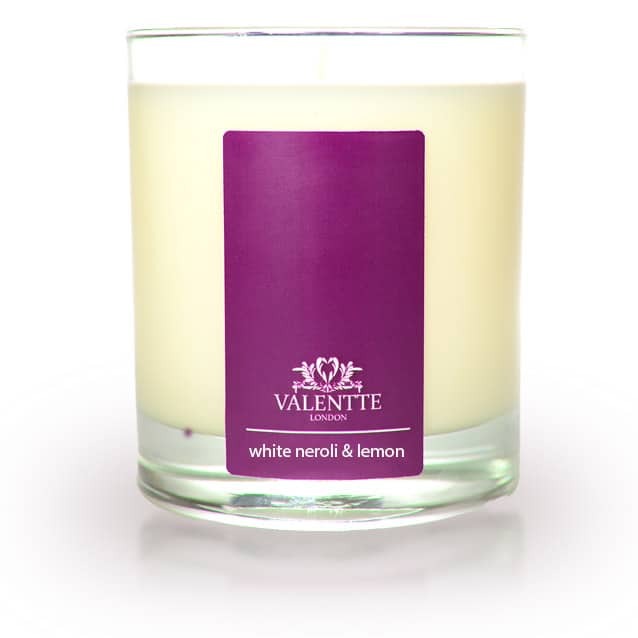 White neroli and lemon is a gorgeous, fresh and uplifting fragrance. I highly recommend it! Fantastic candle, the scent fills the room. This is a high quality product that is worth every penny – I will be a returning customer. I can’t wait to try the reed diffuser too. Thank you for a super product. Yet another simply stunning fragrance that makes our whole house smell absolutely divine. I don’t burn the wick but instead use a melting base to melt the wax . I purchased a supply (along with the Rosemary & Lemongrass candle|) at the Game Fair held at Hatfield House last year and was so impressed, I purchased another supply this year at Ragley Hall. Luke could not have been any or helpful. Bought a couple of items at Burleigh 2018. The White Neroli and Lemon candle is remarkably fresh and not at all overpowering (as many of the synthetic canldes on sale in supermarkets are) and the lemon Grass and Rosemary diffuser just has such an appealing fragrance that I’ll be buying more for other rooms in the house. In comparison to other “top end” candles/diffuesers on the market, these Valentte ones are reaally good value. Easy to recommend. I wish I’d bought more! Purchased this beautiful candle along with diffuser and room spray at the Grand Designs show yesterday. I can still smell the lovely scent in my lounge this morning – truly gorgeous candle. Absolutely love the smell of this candle. Bought the soy candle, defuser, body cream and scrub all in White Neroli & Lemon. I particularly love the fact that it is all natural and the candle is make of soy. Having a chemical allergy and asthma I can tell immediately if a product is natural or not…. these products are natural, smell really lovely and I will be back for more. The products above were bought from the Spirit of Christmas Fayre 2018. Will be buying Christmas presents from you soon! My goodness me, I bought this as part of a gift pack (for myself!) and haven’t even lit it yet, and it smells divine. I have it sat next to me in my study whilst I work and its just gorgeous. The smell is beautiful and just delighted with the product. Bought this candle at the Christmas Country Living Fair last week. Why didn’t I buy another? So far the scent has been divine and burns nicely leaving no candle residue on the edge of the glass. Heaven! Still to try the room spray but that seems lovely too. Gave a candle to my Mum as well and she is saving it for Christmas. Don’t stop to think about it; just buy these products and you won’t be disappointed. I visited the Christmas fayre recently and saw the valentte stand. I picked up a tester bottle of the lemongrass & rosemary diffuser. I was totally sold on your products. The smell was amazing. I left with my purchases. Was annoyed I did not buy more and returned two days later to stock up. Great gifts for a special occasion. Such a beautiful and long lasting scent. I bought this candle along with a Jasmine and Rosewood one at the Sandringham Christmas Craft Fair. Both have delicate and positive scents which make my house smell beautiful. I would not hesitate to recommend these candles and i will certainly be buying them again. Lovely scent that fills the room. Candle doesn’t seem to burn down too quickly either. This candle definitely deserves five stars. It lasts for ages and has a a very fresh and pleaseing scent. Excellent product. Excellent candle. Strong, long lasting smell. Best scented candle ever found. Amazing small and long time we can use.i brought from Christmas gift for myself in Kingston I love the norali I hope this year they will have jasmine iam waiting. Lovely fresh aroma. These candles last for hours and fills my room with a beautiful fragrance. This is my favourite candle. The scent is glorious fully scenting the room without even lighting it. But when lit it still perfumes the room, burns cleanly without smoke and looks attractive. Love it. Plus Valentte best quality candle I have purchased. First seen at Spirit at Olympia. As candles go this is one of my favourites. Nicer than some of the more expensive candles. I love the fresh smell of the neroli and lemon candle. It is my absolute all time favourite. Have just visited the Country Living Christmas show and was so pleased to be able to purchase more of your lovely products. I am especially happy with the candles that smell divine and burn evenly. 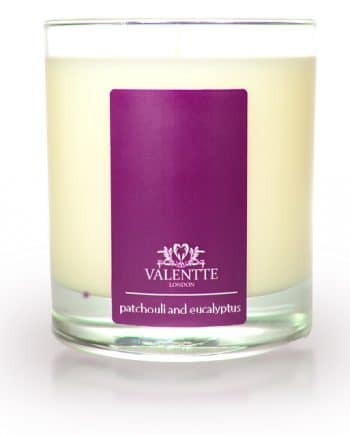 I first bought Valentte candles when I went to the ideal home show a few years ago and was very impressed with the smell. I recently bought a selection of candles and skin care. I love all the smells but white Neroli and lemon is my favourite I put a candle in my guest bedroom and its made it smell lovely without even being lit yet. I have taken advantage of the sale and placed a second order. The scents are divine and the candles truly create a beautiful aroma in your home. Have been buying this candle for a few years now. It has a lovely scent that lasts for ages. It fills the whole room with the georgeus scent. I would highly recommend it. I received this candle as part of a gift set at Christmas and have since purchased another two. This candle doesn’t disappoint! The whole house smells amazing, just like a spa! Everyone that comes in to the house comments on the lovely smell. Will definitely purchase again and again. Well done Valentte. Have also purchased other candles within the range that I can’t wait to try. I discovered Valentte products at the Spirit of Christmas fair and having loved what I bought there have just ordered a whole lot more! Hadn’t tried this candle before but will become one of my favourites. Fabulous long lasting smells and great value. Thank you. Beautiful uplifting fragrance. The candle when lite fills the room with a gorgeous fresh aroma. My favourite one. Absolutely love this candle. My kids love it too. Lovely smell. Very natural and uplifting. Would definitely recommend. The handcream and room spray are also very good in this scent. Thank you again for the wonderful smell of this candle, so glad I have found you. First time I’ve tried these candles, had this on last night and can still smell it 24 hours later. Already told a family member about them. Longest smelling candle I’ve ever had. I bought a gift box and it would make a lovely gift as it was packed well and looked good. Thank you. The best smelling candle I have ever had. I love this fragrance so much. First came across the beautiful filled gift boxes at Ripley Castle Christmas fair 2 years ago and could not wait to get back last year to purchase more. 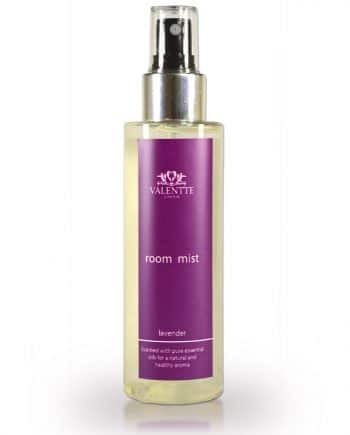 The room mist I spray on my pillow and love the smell as I turn over in my sleep. All my friends will be receiving these for their birthdays too this year, now I’ve joined on line to purchase . I’ve now moved on to the skin care as the fragrances are so lovely. These candles after trying many brands are the best that I have used which has been the last 2 years . The quality and scent is second to non and can’t recommend them enough.